During Summer, we train every Tuesday on Clapham Common, around where the dot is on the map below. The area can easily be reached from Clapham South and Clapham Common tube stations, Clapham Junction or via several bus routes. Please use the contact form on the Join Us! page to get further information on training sessions. 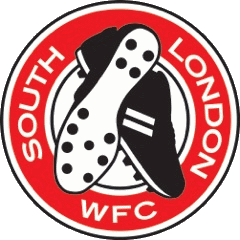 From September through to March we train at Battersea Sports centre (SW11 2DA) from 6:30 until 8pm, and there are changing facilities. At the end of every month we also train on a Friday evening in Southfields so we can work on a full size pitch – and …..as it’s Friday we have a few drinks after. Please use the contact form on the Join Us! page to get further information on training sessions.